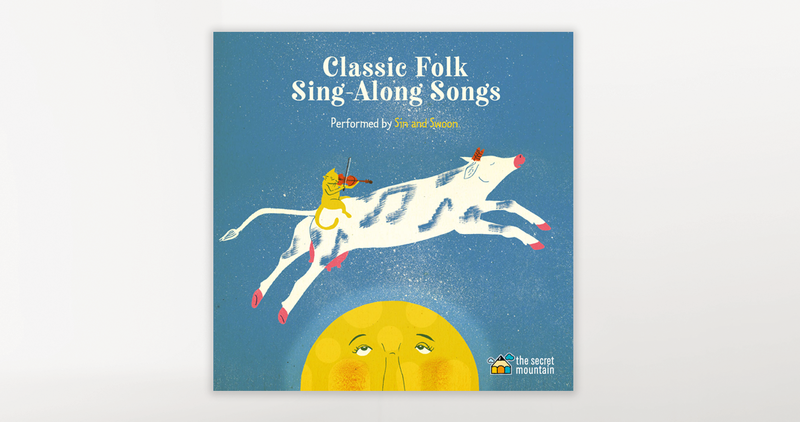 Twelve popular traditional nursery rhymes and lullabies that have withstood the test of time. Rediscover the folk standards Pop Goes the Weasel, the well-known rhyming ditty that began as dance music, She’ll Be Coming ‘Round the Mountain, which was originally a railroad song derived from an old spiritual, and Twinkle, Twinkle, Little Star, the quintessential lullaby based on a nineteenth-century poem. This new collection with fresh, original arrangements was recorded by the exceptionally gifted folk-roots duo Sin and Swoon. A wonderful heartwarming CD that will definitely appeal to the entire family! All recordings were produced by Benoît Morier. 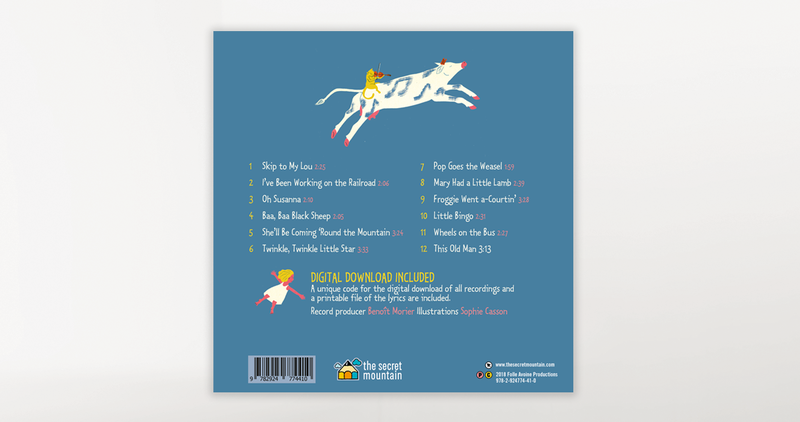 Cover art was created by Sophie Casson. Sin and Swoonis a folk-roots band made up of Ottawa Valley native Michael James O’Brien and Antigonish, Nova Scotia’s Michelle Tompkins. They have backed-up several popular Montreal acts in the recent past, notably Patrick Watson, The Barr Brothers, Plants and Animals, and Thus Owls. CD containing 12 songs (32 minutes) and a code to download MP3 files of the recordings and a PDF printable file of the lyrics.